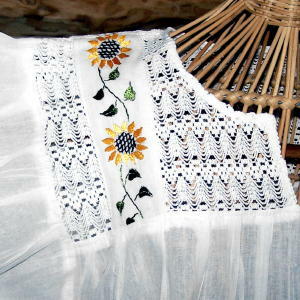 Our flowery blouse is sunny, and flowing, and elegant in the way that only bright white cotton and lace can be. 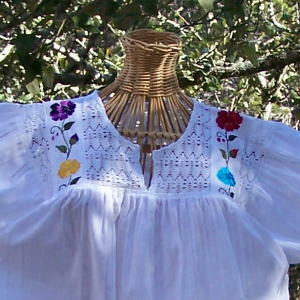 This blouse just makes me feel happy and positive - I felt that way the first time I saw it in the mercado. 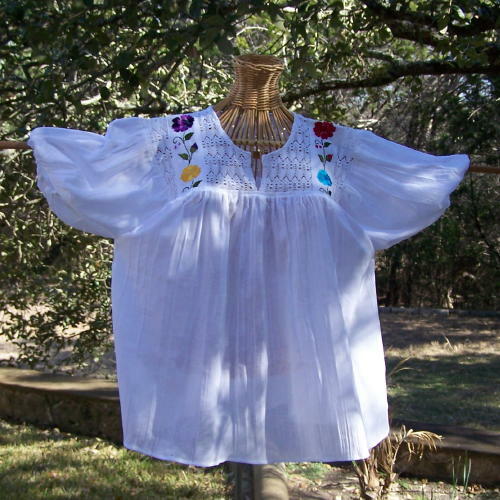 This is a classic Mexican peasant blouse in every sense of the word. 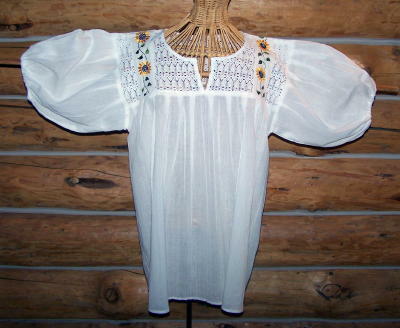 Any of the details above may be on your blouse. Sorry guys, no choices here (YIKES) but they are all beautiful.